The Making of the Powell-Peralta Skateboard Empire – Unauthorized INK. In the mid 1960s, George Powell was just another teen in Southern California building skateboards out of two-by-fours in his parents' garage. He'd ride those things "until they died," he jokes, and continued skating through college, saving up Blue Chip stamps (a customer loyalty program started in the 1960s) to exchange for new boards when he shattered the others. 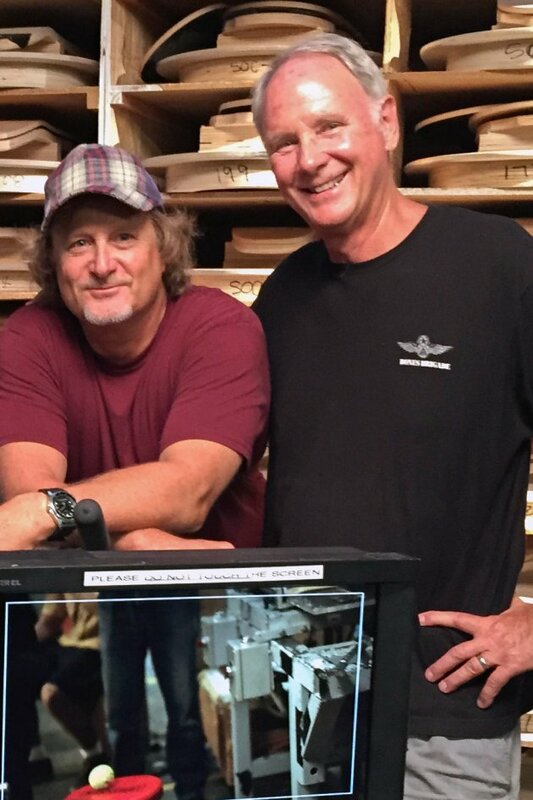 Stacy Peralta (left) and George Powell on the set of their latest film. By 1974, Powell was building boards for his son, who one day confessed he'd seen other kids riding yellow wheels that had come from roller skates and were better than his. Powell assured him the color didn't make much of a difference, but visited a skate shop just to make sure. Turns out, the wheels were polyurethane, a type of material that allows a skilled rider to glide over obstacles like twigs and cracks in the pavement. Having worked with urethane as an aerospace engineer, Powell knew he could use the material to make something better. At the time, Powell was living in the affluent Los Angeles neighborhood of Pacific Palisades, working as a sales engineer for an aerospace company that made wire and cables for aircraft. It was hardly a glamorous gig, so once he met the famous skater Tom Sims, who requested a high end, flexible board, Powell knew it was time to go in business for himself. Though Powell was in business, things didn't take off until he brought on Stacy Peralta. "He'd gone as far as he could go in [skating] and didn't want to retire at 18," says Powell of the slender, streetsmart blond from Venice, California. Powell hired Peralta as an ad and marketing guy, and Powell-Peralta was born. 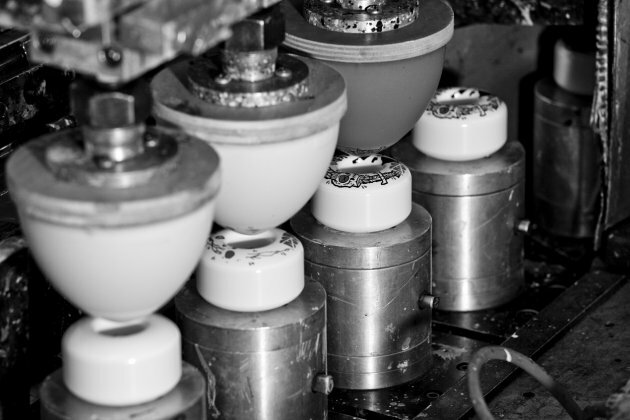 Pad printing machines at the factory transfer artwork to wheels. "We did everything under one roof," says Peralta, who also managed the company's team of sponsored skaters, Bones Brigade. (Fun fact: Tony Hawk was one of them.) "We were really, really smart about how we promoted our products." This entailed filming live action sports videos near his apartment in Hollywood, which had never been done before. Peralta was a natural-born filmmaker, capturing all the raw power and restless energy of the kids who lived to ride. The business took off, Peralta says, with Powell-Peralta quickly becoming one of the dominant brands in the industry. But by 1980, interest in skating waned and the sport fell into what Powell calls "the Dark Ages." Sales dropped by 60 percent and Peralta went off payroll to help make ends meet. "We shrank from 35 to seven people," says Powell, and despite borrowing $10,000 from a bank, "we couldn't make our payments, it got so bad." Adds Peralta: "There were times when it really seemed like we were chasing a carrot." Neither co-founder lost faith in the company. "I felt that we would just find a way," says Powell. "We just kept plugging along in spite of the fact we were beginning to fail by most measures." When skating saw a resurgence in 1983--public skate parks and the rise of star skaters helped--Powell's father lent the company money to stock up on inventory. Powell-Peralta had backorders for almost four years but the company slowly caught up to market demand and things turned around. Peralta credits this success with the company's core values: "being as authentic as we could be to the skateboarding experience, not telling kids what to want, but getting what they wanted and translating that back to them." He loved going to skate parks and talking with kids, while Powell made limited edition products just for the fun of it. Decks are stored in a climate-controlled environment to retain moisture. "Sometimes we'd have 50 shirts to give out and people would want to buy them, and we'd say, 'Nope, that's it. It's just for this contest,'" Peralta rememebers. "It was just a way to keep things interesting for us and the customers." Being a "quality freak" didn't hurt either, Peralta says. To this day, most of the products are built and distributed from a factory in Santa Barbara, where Powell can invent things himself, test them in his garage, and bounce ideas off fellow engineers. 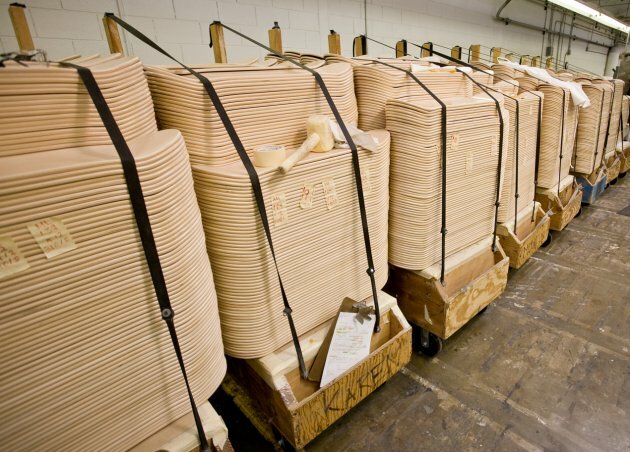 "I felt others couldn't make it as good as we could make it," says Powell, who once tried manufacturing boards in England but quit after six months when he noticed the edges were off. "We'd be cheating customers to have others make it." Powell-Peralta faced more hard times in the early 1990s as skateboarding boomed and the company lost some of its market share due to an influx of competitors. But still the company managed to grow, particularly internationally. Today one-third of sales come from outside the U.S. These days, Powell says, the smaller, independent retailers struggle--they can't compete with the inventory of larger outlets, such as Amazon, and pay the overhead costs. "This is very troubling to us because the chain stores and the Internet outlets are not able to support the local skate scenes," he says. Regardless, he hopes Powell-Peralta can do its part to help by increasing team tours, videos, and media events. Peralta, who left Powell-Peralta in 1991 to pursue filmmaking, has returned to produce three-minute videos "just showing what we're up to," he says. And as always, he continues to help the company innovate. Up next are new lines of fiber boards and urethane wheels, which Peralta promises will be "less expendable" for everyday skaters who go through their boards quickly. When asked if the ups and downs have been worth it, Peralta recalls those heady days as a trailblazing Z-Boy riding pools in the 1970s. "The most important trick we learned at that time was how to fall. You never fall at the bottom," he explained, "you always fall at the top." Falling is a form of failure, so we all had to learn how to do that."